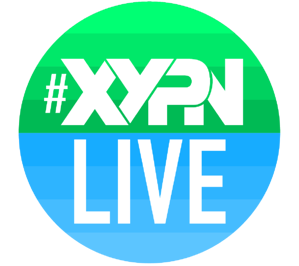 Today I’m excited to have XYPN’s Chief Operating Officer, Raul Dominguez, on the show! After spending the first part of his career as a Navy helicopter pilot, Raul decided to transition to civilian life and ultimately joined our team back in 2015. He joins this episode to share what his day-to-day looks like as COO and offers insight into what operations-focused team members do—and why they are so valuable. We talk in depth about the concept of the visionary and integrator roles that we’ve been exploring lately on the podcast, and we discuss helpful tools for clarifying roles and responsibilities, goal setting, and developing staff. Whether you’re an entrepreneur thinking about hiring an operations manager or someone who wants to be on the operations side of things, this is an episode you don't want to miss. Why Raul’s initial career plans changed. The reason he decided to transition into financial planning. What attracted him to the COO position at XYPN. The two key roles within any company. How Raul defines the integrator role. The gift and curse of being a visionary. Raul's tasks and responsibilities as COO. How he manages his time on a day-to-day basis. His advice for hiring staff. How to go about delegating tasks. What RACI charts are and why they’re so useful. Common reasons new hires fail. Tips for entrepreneurs looking to grow their companies. What Raul would go back and tell his younger self. You’re invited to attend THE event of the year…and, even better, you’re invited to get your pass at the best possible price. The can’t-miss annual #XYPNLIVE conference returns to St. Louis in September 2019 with valuable content for new firm launchers and established firm owners alike. Take a couple days to work ON your business instead of IN your business, and connect with like-minded advisors leading the real financial planning movement. Visit xyplanningnetwork.com/xypnliveradio to get a deal on your pass through the end of the month. But hurry! The price goes up on the first of the year!